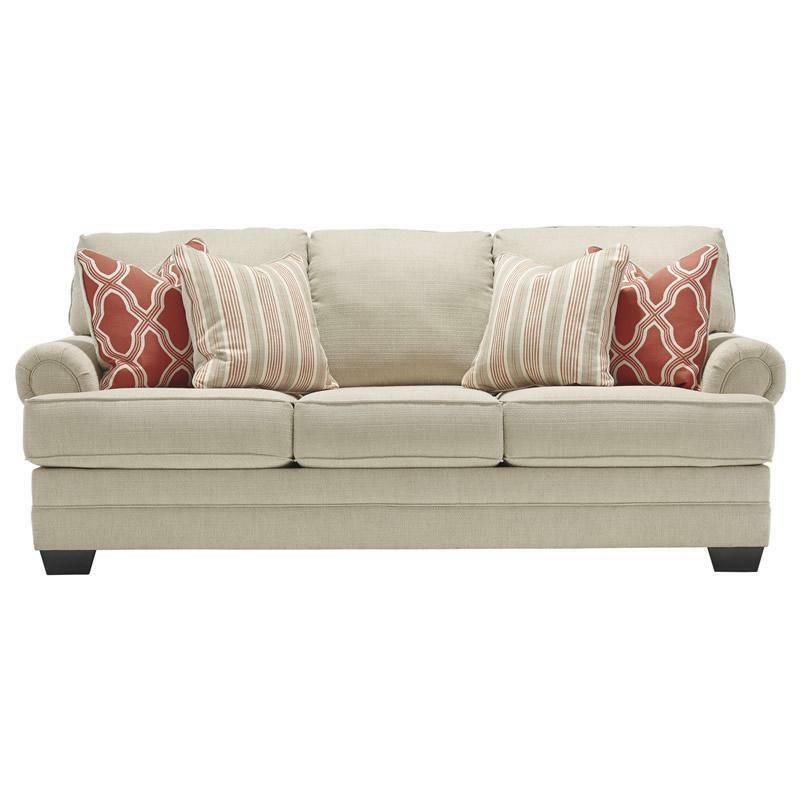 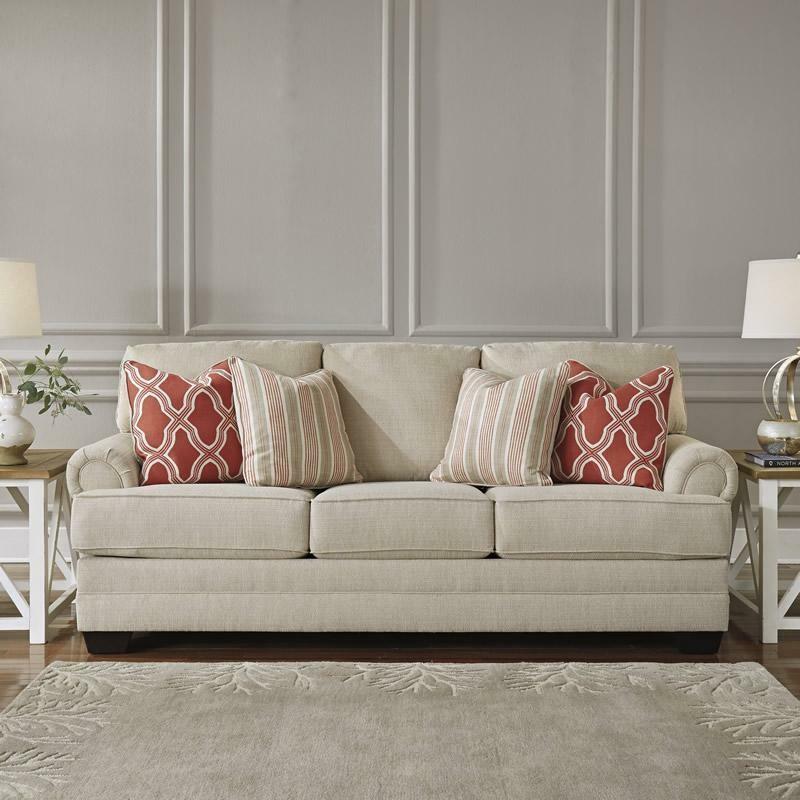 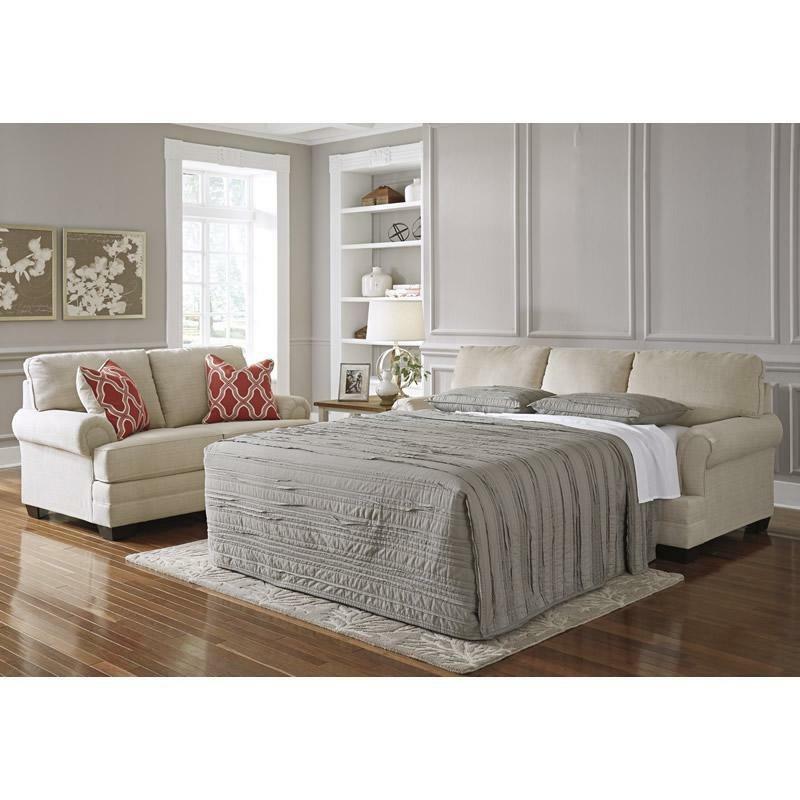 With a light airy look and comfortable design, the Benchcraft “Sansimeon-Stone” Queen Sofa Sleeper takes traditional style to a whole new level. 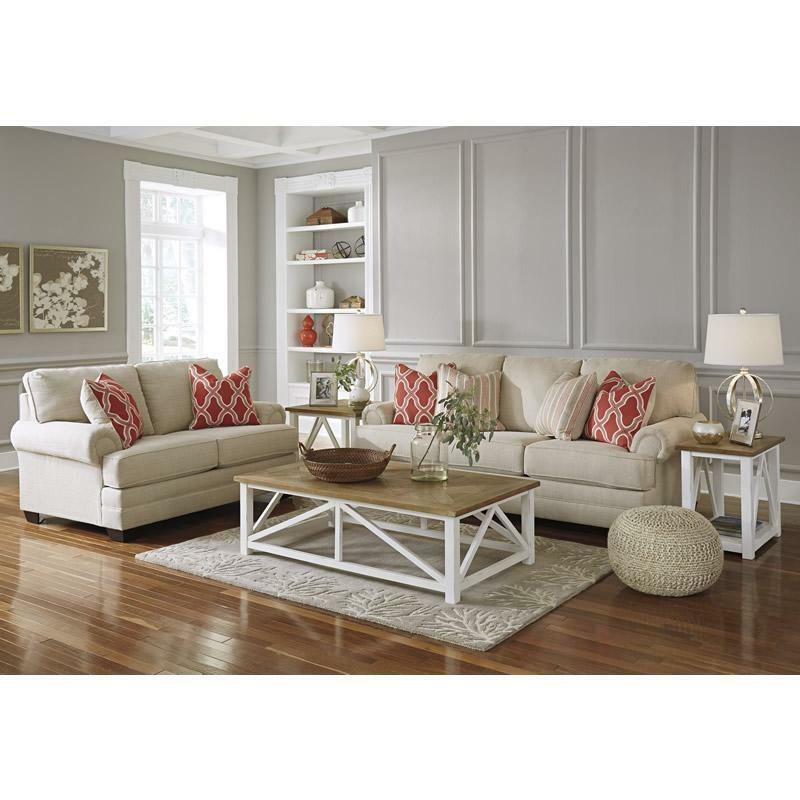 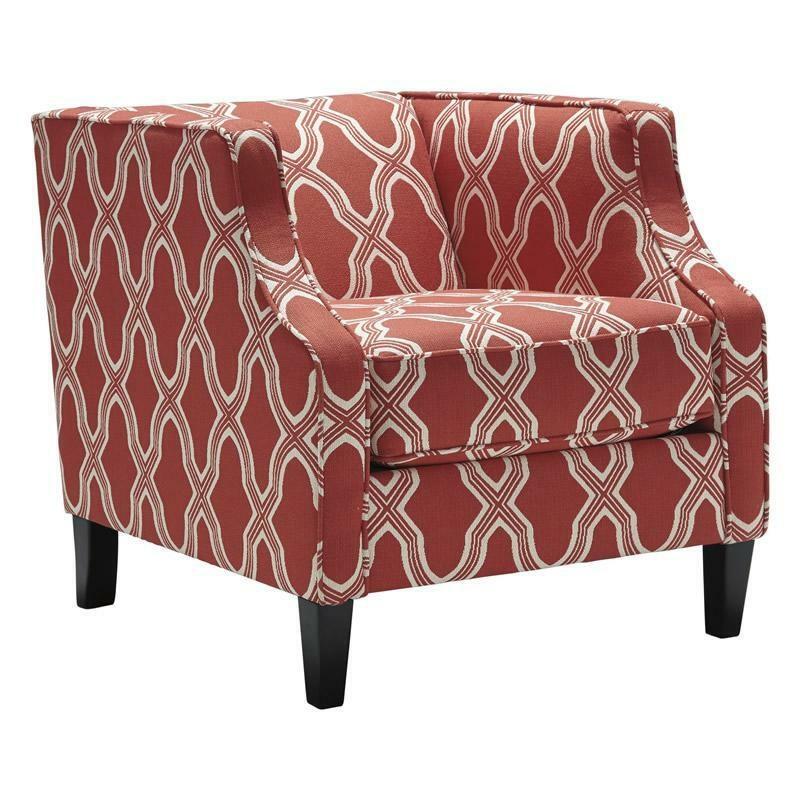 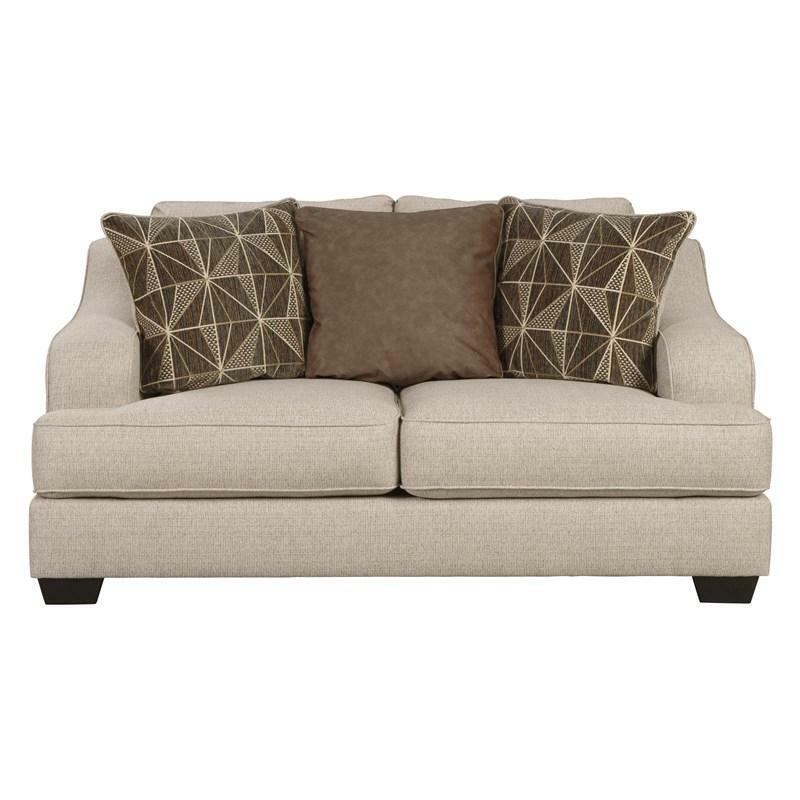 The padded rolled arms and plush back and seating cushions are beautifully surrounded with a soft upholstery fabric that adds to the comfort while creating a casual traditional design that is sure to enhance your home's décor. 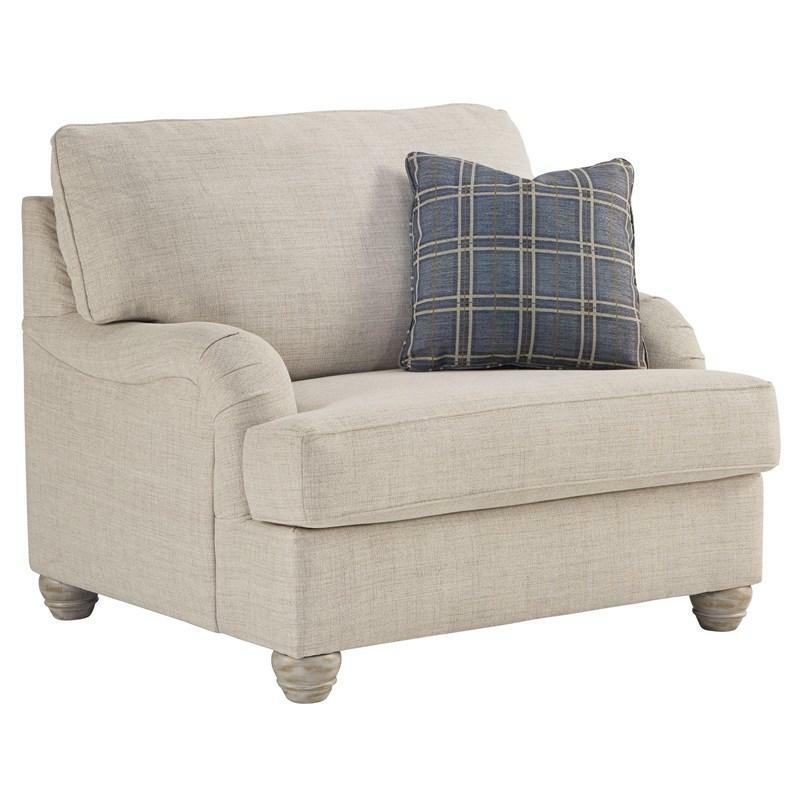 • Distance between arms 69.00"
Bring a casual elegance into your home with the Traemore chair and a half featuring wood bun feet, English style arms and a linen colored upholstery.